WASHINGTON, April 4, 2019 /PRNewswire/ -- SCORE, the nation's largest network of volunteer, expert business mentors, congratulates its Portland, Maine chapter on being named SCORE Chapter of the Year by the U.S. Small Business Administration in honor of the upcoming National Small Business Week. SCORE, the nation’s largest network of volunteer, expert business mentors, congratulates its Portland, Maine chapter on being named SCORE Chapter of the Year by the U.S. Small Business Administration in honor of the upcoming National Small Business Week. The Portland chapter was recognized from among 300 SCORE chapters nationwide due to their effectiveness in mentoring and educating current and prospective small business owners in Southern Maine. Over the past six years, SCORE Portland, Maine has more than doubled their total services, serving a record-high 4,000 clients in 2018. "SCORE Portland has grown over the years to become an integral part of Maine's small business community through offering high-quality mentorship, workshops and knowledge of local resources," says Chapter Chair Nancy Strojny. "Our dedicated volunteers guide entrepreneurs at every stage of their journey to success. We're so grateful to have our efforts recognized." SCORE Portland, Maine has maximized their community outreach by partnering with other local organizations and supporting events like the FocusME peer groups for women entrepreneurs. The chapter also recently expanded into the Lewiston-Auburn metro area, and offers video mentoring to accommodate entrepreneurs in the state's undeserved rural counties. The chapter is significantly growing its volunteer base. Last year, SCORE Portland, Maine added 24 new volunteers to their ranks, making for a total of 74 volunteers. "Excellence, consistency, and persistence ultimately describe this year's SCORE Chapter of the Year," says Steve Records, SCORE's vice president of field operations. "Serving a rather small community, [SCORE Portland, Maine] is relevant and intertwined with everything related to small business in Portland. They are a model chapter, not just for a small market, but for SCORE chapters everywhere." Local entrepreneur Maddie Purcell has worked with several SCORE Portland, Maine mentors, including Strojny, to develop crowdfunding campaigns and a marketing strategy for her business, Fyood Kitchen, which runs cooking competitions for the average chef. Named SCORE's 2018 Outstanding Young Entrepreneur, Purcell speaks fondly of Strojny, saying, "Nancy is really a genius — she gets to the heart of problems and opportunities very quickly, and helps me see them in a new light. She prepares me to take immediate and decisive action to move my business forward. Nancy also knows everyone in Portland, so she can make connections and suggest conversations I wouldn't yet be able to access on my own." 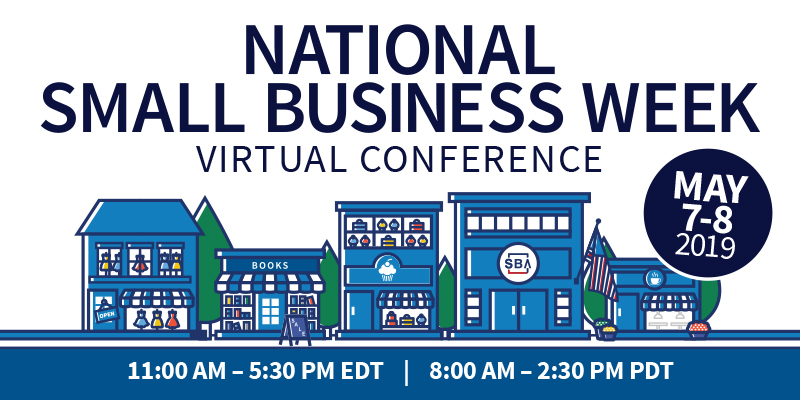 The Portland chapter will be honored during the National Small Business Week kick-off event in Washington, D.C. on May 5. For more information about starting or operating a small business, or on volunteering with SCORE, visit SCORE at www.score.org. Follow @SCOREMentors on Facebook, Instagram and Twitter for the latest small business news and updates.